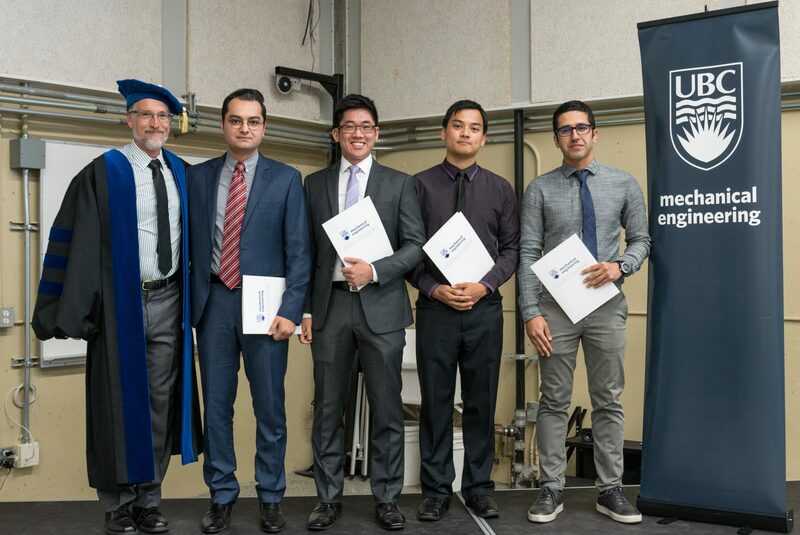 Faculty of Applied Science / Mechanical Engineering / 2018 / June / 07 / Congratulations May 2018 Grads! 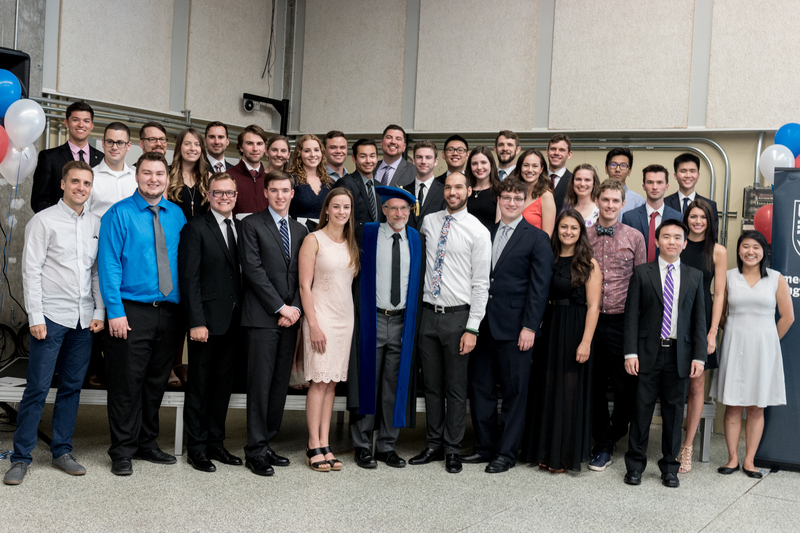 Please join us in congratulating our most recent graduating class, who crossed the stage on May 30, 2018! 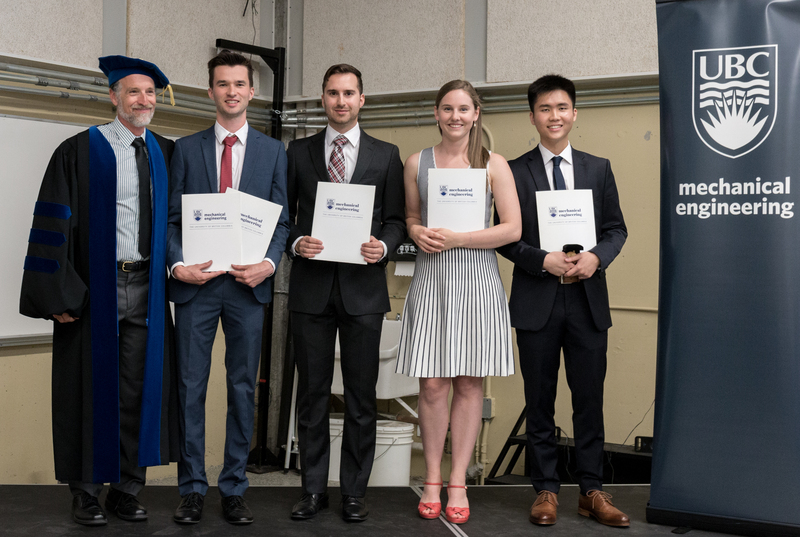 A special congratulations also goes out to all of our award winners, who have made outstanding academic and/or leadership achievements during the course of their program. See below for this year’s winners. Awarded to the Head of the graduating class for each Option. Given to one graduating student in each Department who shows great promise. 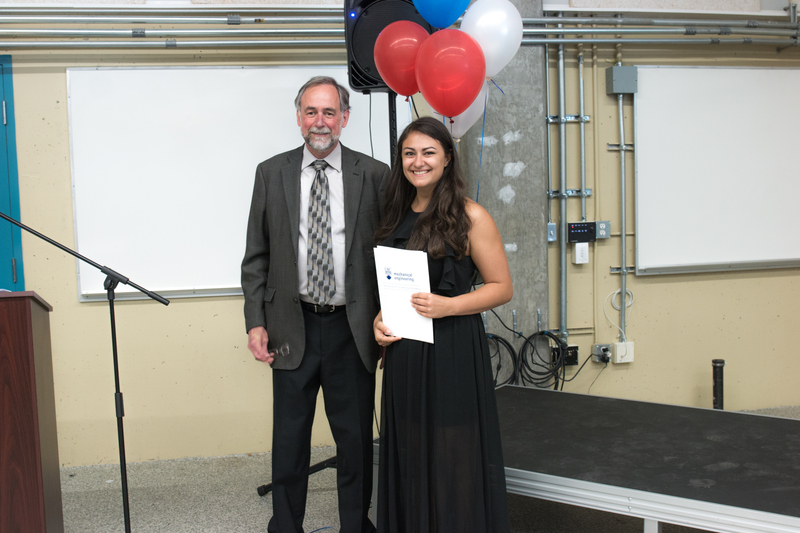 Recognizes outstanding accomplishments in Engineering Design. 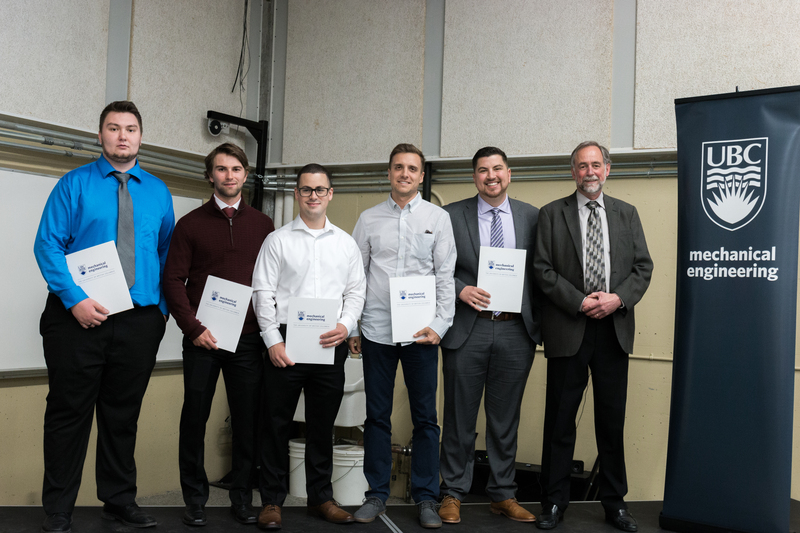 Awarded to: Team #9 (sponsored by Ian Frigaard’s lab) for the design of a large laboratory apparatus to study eccentric annular flow in pipes. 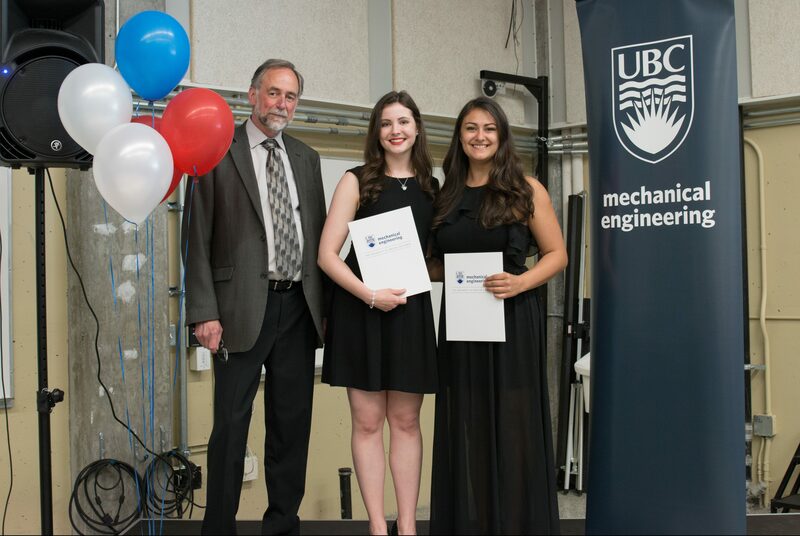 Awarded to: Team #20, for their design of an automated livestock feed measurement system for PICSL. 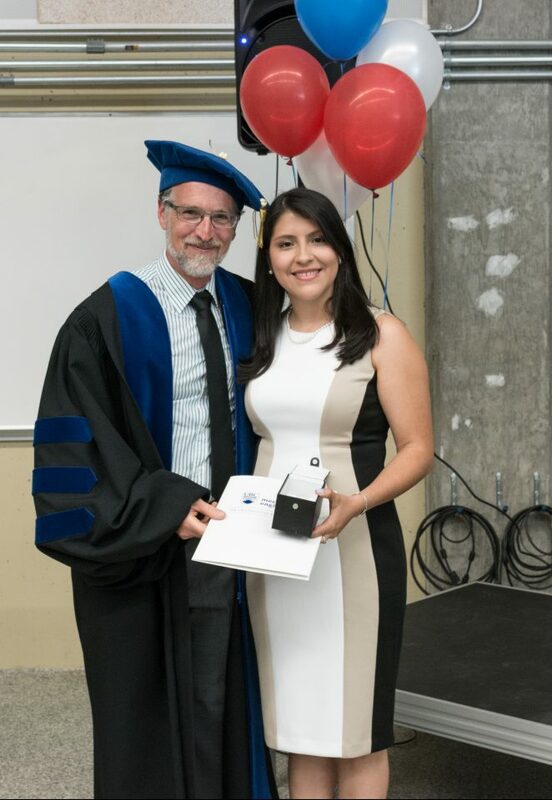 Recognizes the top undergraduate student who has demonstrated strong leadership skills and made outstanding contributions to the Department and Faculty, specifically in the realms of student affairs, design competition teams, professional association student chapters, and other related activities. 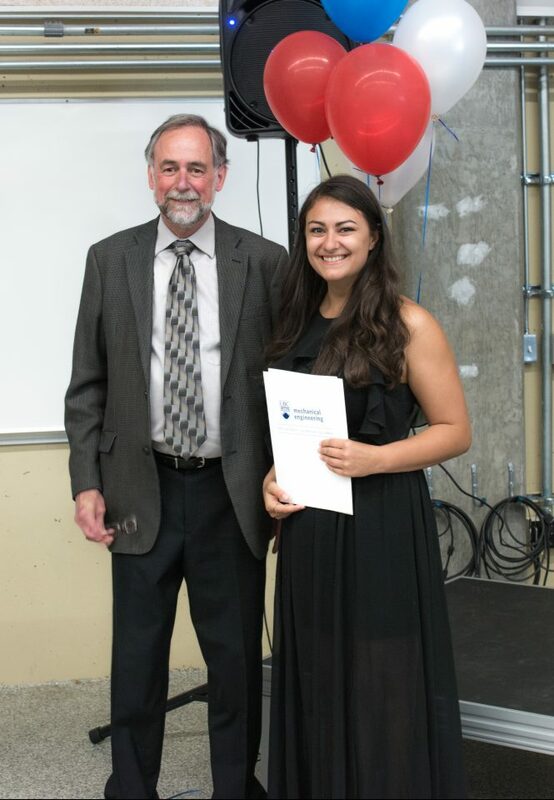 Recognizes students who have continually excelled in being effective leaders among their peers and in their communities. 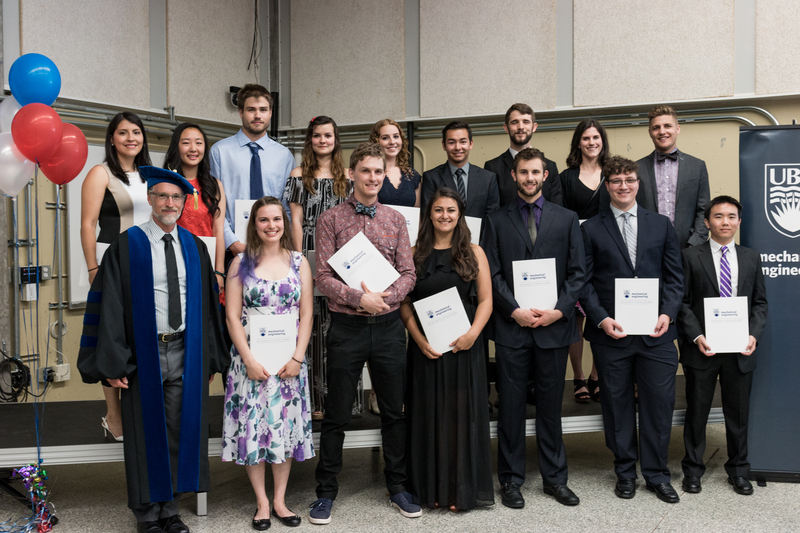 Recognizes undergraduate students who achieved an overall first-class average in second- through fourth-year courses. Recognizes graduate students who have achieved an overall average throughout their program of above 90%.